Texts for performance always involve filling in the blanks. No play can ever fully [BLANK] the world of the stage. So the latest play by Nassim Soleimanpour – writer of White Rabbit, Red Rabbit fame, known for scripts that [BLANK] the theatrical conventions of preparation and rehearsal – just takes that to its extreme. The [BLANK] that always takes place in staging a text is put on stage. Blank is a story machine. Like White Rabbit, Red Rabbit, it requires a different, unprepared [BLANK] for each performance. On this occasion, it’s Hattie Morahan gamely picking up the script with no idea what to expect. She is the [BLANK] of tonight’s story. She begins reading, obediently filling in the gaps. She tells us about her [BLANK]. She answers questions about [BLANK]. As we gain a limited, [BLANK] version of her life and personality, the superficial markers of theatrical character – family, profession, favourite food – quickly become apparent. Like Tim Crouch’s An Oak Tree, another [BLANK] that inserts an unprepared performer every night, Blank reveals truths about all theatre. These are [BLANK] that always take place when we share in the creation of stage fictions. And what are plays if not story machines? Here, those [BLANK] are just made visible. Stepping onto the stage with [BLANK], Morahan’s lack of rehearsal or prior knowledge [BLANK] the live experience of theatre. She laughs and stumbles her way through the [BLANK], with the audience as her co-conspirators. And it’s not just Morahan completing the blanks. The audience, too, are [BLANK] to the show. We, the absent voice of the playwright tells us, are integral. We imagine a [BLANK] biography for our imagined writer and later [BLANK] the story of the show’s one-time protagonist, another member of the audience. It’s playful and gently entertaining, particularly as [BLANK] performed by Morahan, all smiling confusion. On this particular night, the show also has the advantage of a [BLANK] participant from the audience, who enters the show in precisely the spirit it asks for. But blanks, like the blanks in this review, only cede so much control. By showing his hand, Soleimanpour invites [BLANK] of his authorial artistry. It’s a show that prompts responses of “ooh, wasn’t that clever?” Is it really as clever as it [BLANK], though? Unlike An Oak Tree, it’s hard to sense the substance beneath Blank’s surface of gameplay. 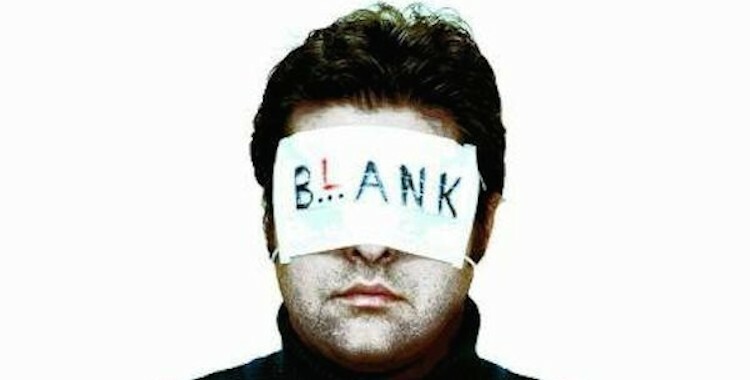 It’s also [BLANK] to know how robust Soleimanpour’s story machine really is. This time, at least, it’s not really tested. Everyone [BLANK] the game. What would happen, I want to know, if someone really [BLANK] it, really pushed at its edges? Theatre always happens in the live moment. Texts are always [BLANK] to interpretation. Playwrights are forever in the paradoxical [BLANK] of control and helplessness. Blankintroduces these observations and playfully teases at them, but it struggles to go much [BLANK] than that. In the end, it’s all a [BLANK].